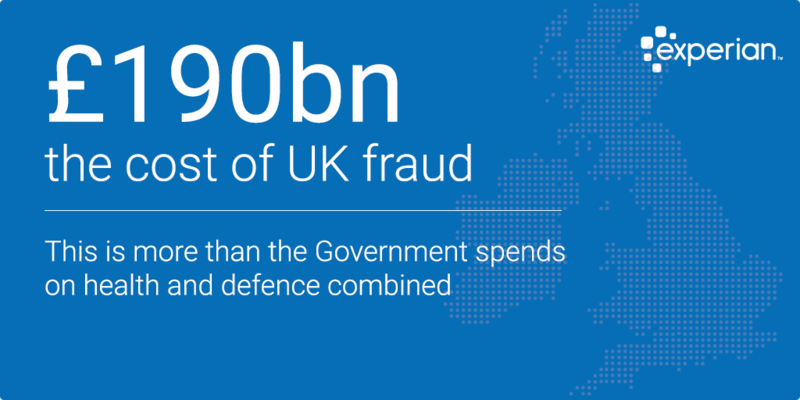 Fraud still costing the UK more than £190bn – new analysis released in the Annual Fraud Indicator. The 2017 Annual Fraud Indicator (AFI) presents some interesting analysis. At first glance the overall cost of fraud on the UK economy looks to be reducing; now quoted at £190bn, compared to £193bn in 2016. However, it is not that simple. The reduction has only occurred due to the volume of spending that the costs are being calculated against (for example procurement spend reduced in 2016 compared to 2015). But regardless, £190bn is a significant value that is creating huge losses for the public and private sectors. It’s an average value of £10,000 per UK family. 74% of the value of fraud is against the private sector, 21.2% against public sector, 3.6% is against individuals and the smallest proportion at 1.2%, is against charities. Put this into financial value and private sector losses are estimated to cost £140bn. Public sector lost an estimated £40.3bn, individuals suffered £6.8bn and charities (including charitable trusts), incurred £2.3bn in losses from fraud. Private sector fraud reduced by £158bn this year. However as we stated earlier, this is based on a lower volume and value of spend and therefore as a ratio, may not actually be a reduction when looking at comparable values. And, important to note, this is still the largest sector of the economy losing the largest amount to fraud. Procurement fraud equates to a staggering £121.4bn which is 4.76% of the total expenditure of £2.5trn. Payroll fraud cost £12.7bn. And combined losses are just over £134bn. Financial fraud has seen a significant increase of £2bn, while general insurance suffers the largest percentage of fraud at 3.9% (£2.8bn). Retail and telecoms saw a combined decline of £66m. The public sector incurred significant losses – equating to an increase of £2.8bn (+7.5%). Dominating this rise is procurement fraud (£1.7bn). Tax fraud contributed over £800m too. Measures to combat fare evasion seemed to be effective and when calculating figures against those from Transport for London, this area saw a reduction of more than 18%. The NHS saw a £900m increase this year, with charities also increasing losses which now stand at £400m. How do you focus your fraud prevention and detection efforts? For businesses, getting to grips with how and where the fraud is occurring is critical to setting the right defence and fraud prevention priorities. Internal fraud can be seen in this analysis as a significant area of threat. Therefore background checking all employees (when onboarding and regularly throughout employment), is one way to reduce the risks. Education also has a positive impact and with the emergence of new trends in fraud such as CEO fraud – understanding and educating on what is legitimate and what isn’t can offer you, and your employees, an extra level of vigilance when undertaking checks and processing tasks. But, fraud isn’t always against a business and fraud against individuals continues to pose a risk that’s measured in the AFI at £6.8bn. Businesses developing their defences to detect and prevent fraud however have been evidently successful and overall fraud against individuals has declined by £2.9bn. This is echoed in Experian’s fraud analysis where a spike in fraud detection and prevention has been seen – particularly in the cards and automotive sectors. Current accounts remain the most targeted however, with savings accounts seeing the biggest growth in third party fraud (third party fraud is fraud against an individual). Interestingly fraud against National Savings and Investments (NSI) reduced in the AFI – falling from 3.43% to 0.02%. The reason for this was a decision by the UK Fraud Costs Measurement Committee (UKFCMC) to apply the NSI detected fraud levels instead of an estimate based upon evidence that fraud risks and therefore levels are very low. Most of the reasons for fraud being referred were a consequence of identity theft and 1 in 10 people fell foul of scams in 2016, with the AFI reporting a value of identity theft of £1.3bn. It is now measured as the biggest crime in the UK as a consequence of the growth, with people being 20 times more likely to be a victim of fraud than they are of a robbery. Mass Marketing fraud (when fraudsters try to lure victims with false promises of large cash prizes, goods or services in exchange for upfront fees, or what they call taxes or donations), contributed a staggering £4.5bn. (Read more about fraud by trend in our handy A-Z of fraud). Private rental property fraud was up £769m – reinforcing the need to check all your tenants. And the utility sector saw similar levels in 2017 than 2016 through prepayment meter fraud. Educating all of your internal and external stakeholders on fraud – helping them stay vigilant and understand processes and areas of particular vulnerability. Perhaps sharing our A-Z could help add some valuable insight? Click to share on LinkedIn. You may also find our dedicated fraud and identity resource hub a useful asset. Visit and bookmark the page here. That way you can stay up-to-date on the latest releases and figures on fraud and identity. For the full AFI report, download it here.